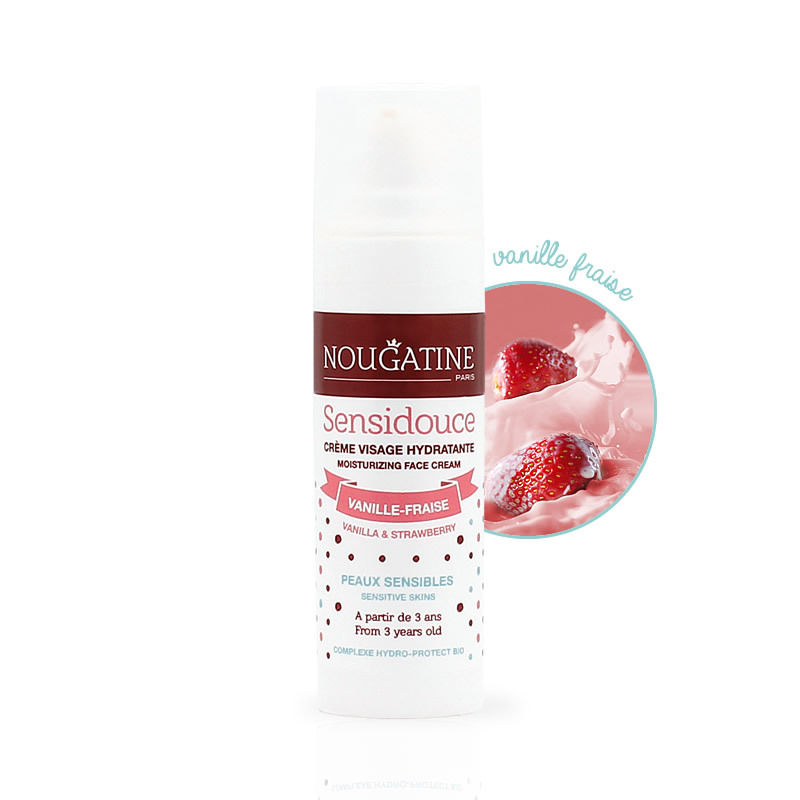 The first sensitive skin formula adapted to children’s skin specificities. 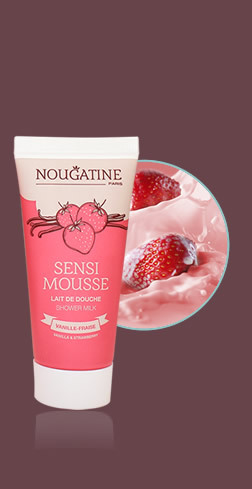 A light cream to calm and moisturize the sensitive of your face. Enriched with allantoïne, the sensations of tightness are reduced. The « Organic Hydro-protect » Complex forms a protective film and allows to rebalance skin water loss. SILICONE FREE, ALCOHOL FREE, SULFATE FREE. 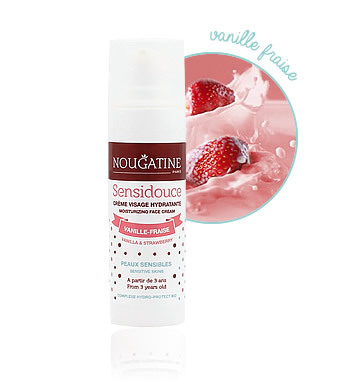 After cleansing your skin with Chantimousse, apply a dab of Sensidouce on your face. 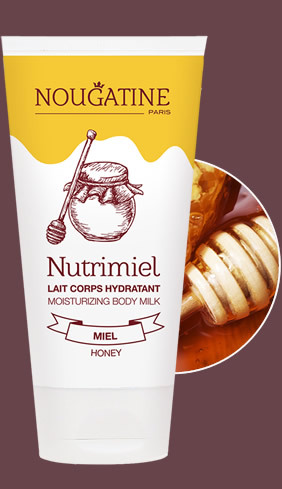 Result: the skin is soft, supple, comfortable and irritations are soothed. AQUA (WATER), DICAPRYLYL ETHER, CETEARYL ALCOHOL, GLYCERYL STEARATE, CAPRYLIC/CAPRIC TRIGLYCERIDE, GLYCERIN, ISOPROPYL MYRISTATE, PRUNUS AMYGDALUS DULCIS (SWEET ALMOND) OIL*, POTASSIUM PALMITOYL HYDROLYZED WHEAT PROTEIN, MACADAMIA TERNIFOLIA SEED OIL*, BUTYROSPERMUM PARKII(SHEA) BUTTER, MEL*(HONEY), AMMONIUM ACRYLOYLDIMETHYLTAURATE/VP COPOLYMER, PARFUM (FRAGRANCE), ALLANTOIN, CARBOMER, ACER SACCHARUM (SUGAR MAPLE) SAP*, DEHYDROACETIC ACID, SODIUM HYDROXIDE, BENZYL ALCOHOL, TOCOPHERYL ACETATE, TOCOPHEROL, CITRIC ACID, CI 17200(ACID RED 33).